The weapon’s external appearance resembles legendary Kalashnikov assault rifles. In a contrast to them it uses the patented action, this time shooting from the open bolt. Advantage of such a design rests in even larger reduction of the felt recoil; the shooter sometimes feels like the weapon pulls him ahead. Adoption of such a design is especially advantageous in case of light and medium (universal) machine guns that most of their service operate in fully automatic mode of fire. Since the operating cycle of the action starts in opened position, without a chambered round, there is no risk of cook – off (unintended ignition) of the cartridge by hot walls of chamber. Another positive is reduction of the recoil forces by means of utilization of action’s inertia during the shot. 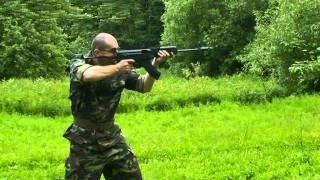 Result is improved precision in full automatic mode of fire (burst). 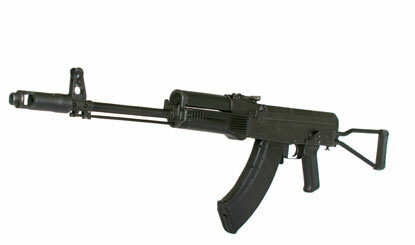 Fire selector can be switched into the following positions: single shot, burst (continuous fire) and safe. 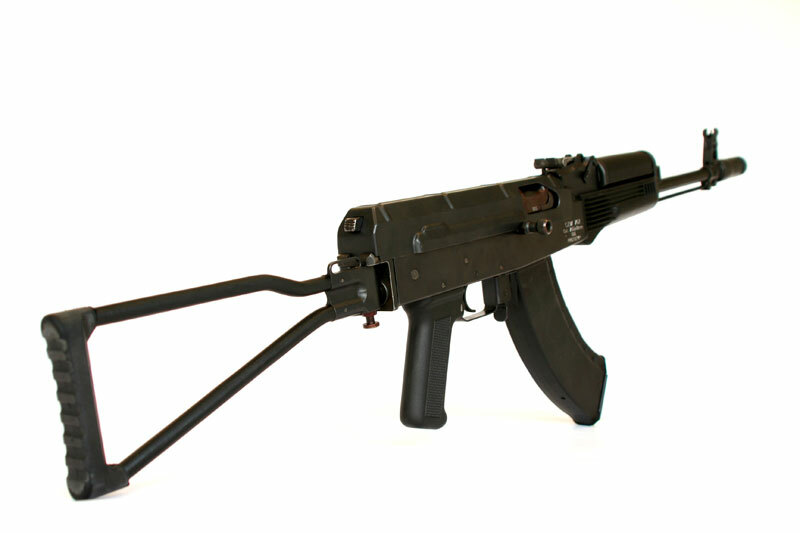 The weapon has a folding stock and can be equipped by a bipod.